Together for Nepal’s Children: In partnership with the humanitarian initiative BKB Charity, the non-profit association ROOTS & ROUTES Cologne e.V. organized the International 24Hz Festival for Urban Media Art in Cologne Südstadt. A sparkling, inspiring festival aimed to not only reach people already interested in modern art and culture but also to get media art out of its pigeonhole and make it available to a wider audience. 24Hz is the frame rate of classical cinema – and also a very low tone. So low that it cannot be found in a standard piano but quite often in the sub bass drones of current electronic music. The 24 hours of one day mirrored in the heart beat of one second. 24Hz is the code for the clash of media art and urban culture, for the meeting of young artists beyond the boundaries of countries and art forms. 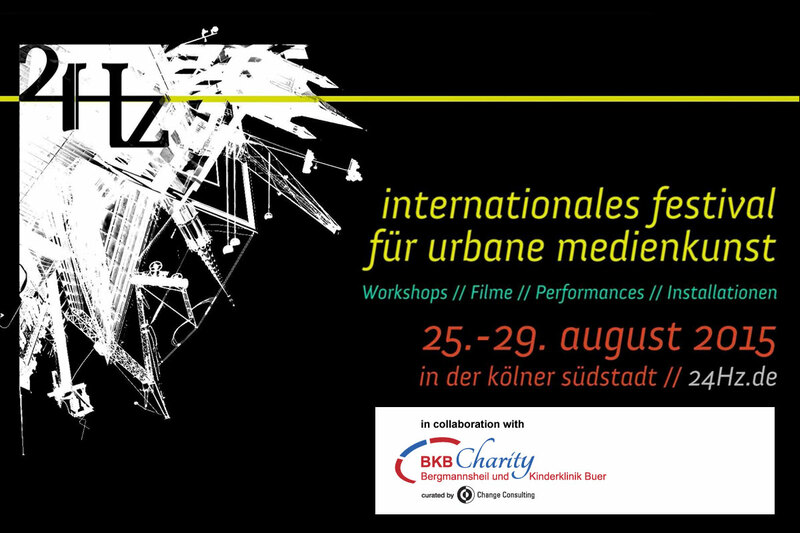 Visit the 24Hz festival in Cologne and support the humanitarian initiative BKB Charity.